Our industrial films are characterized by a multi-layered structure that provides durability and proper rigidity. It is possible to pack large objects, because we can produce a tape with a width of up to 2600 mm or a sleeve/half-sleeve with a maximum circumference of 5200 mm. Our industrial films are characterized by a multi-layered structure that provides durability and proper rigidity. They can be applied whenever packaging is needed that is resistant to mechanical damage and protects the product from the harmful effects of weather conditions. These films are made of LDPE/LLDPE/HDPE, thanks to which they can be recycled. What’s more, on this type of products we can make an information sign regarding recycling of the given packaging or the “The Green Dot” symbol. Industrial films are used for packing large-size products, production of pallet wrappers, plastic tablecloths, protective films for mattresses for beds, heat-shrinkable protective films, e.g. for ceramics. 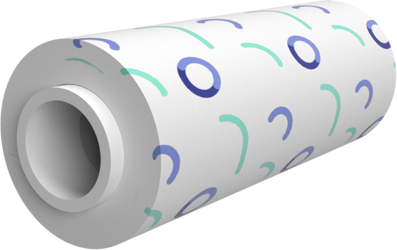 We offer them in the form of a tape, sleeve or half-sleeve of a maximum circumference up to 2,600 mm. We sell this type of film in a thickness of 25 to 160 μm.